Last week‘s look forward to this year mentioned that superheroes aren’t going away. Superhero works may become the new Western because the new genre doesn’t carry the historical problems while still providing for morality plays. Right now, though, the success of superhero works is mainly through adaptations of existing characters and titles. Marvel Comics and DC Comics have seen success with the transition of their works to movies and television. Naturally, the success of superhero movies and TV series are creating a backlash. Part of it is the source – comic books have been considered for children and teenagers, not something an adult would be caught reading, works like Watchmen and Maus notwithstanding. Another part of it are two decades, the Eighties and the Ninties, when original works were more popular than adaptations, unlike the rest of the history of film. Is it possible to create an original superhero TV series not based on an existing character or setting? There have been attempts in the past. Mutant X lasted three seasons in syndication and ended after the its studio was sold, though the series was originally meant to tie in with Marvel’s X-Men until Fox sued. Misfits of Science ran one season in the mid-Eighties. Heroes survived four seasons despite a writer’s strike and network interference. The track record isn’t great for original superhero works, but the audience didn’t exist then like it does now. Television may be the better medium to attempt an original superhero work. Movie studios are risk adverse and the budget to do a superhero movie well may be too high for an unknown work. No one wants to be responsible for a $150 million superbomb. Television is more competitive today, so risks need to be taken just to get viewers. What might not be popular in theatres could garner attention on the small screen; the admission cost is lower with the biggest investment being time, not money. Television also allows for viewing on the viewer’s schedule, thanks to time shifting through DVRs/PVRs and, going old school, VCRs. 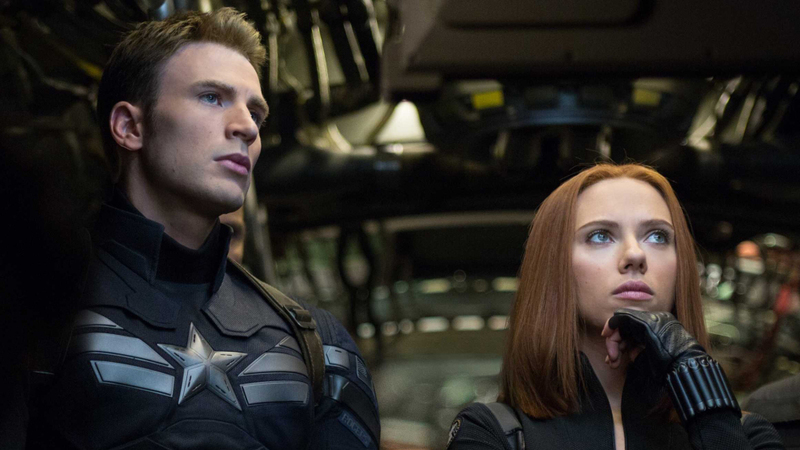 They key to succeed with an original superhero work is to embrace the tropes. The colourful costumes, the obvious heroes and villains, the morality, everything found in the comics need to be taken seriously, even if the situation is bizarre. The DC television series have had success because the characters were treated seriously. A man returning home to clean up his city, a teenager whose original mission was over by the time she reached Earth, and a forensics analyst trying to clear his father’s name are solid ground to build from, and Arrow, Supergirl, and The Flash all did that successfully. The next catch, though, is to not be just superheroes. DC’s television universe, known as the Arrowverse after the first series to air, and Marvel’s cinematic universe aren’t just superhero stories. Arrow includes both family and crime drama. Supergirl sees Kara adjusting after getting to Earth too late to raise her cousin while dealing with a demanding boss and helping her adopted sister. Ant-Man is a superhero heist movie. Iron Man is a superhero techno-thriller. Captain America: The First Avenger was a superhero pulp war story while its sequel, Captain America: The Winter Soldier is a superhero political thriller. Even the original movie The Incredibles is a superhero family drama crossed with a spy thriller. Pure superheroics can happen – look at The Avengers and Justice League – but an original work will need its own spin on superheroes. Television does long form dramas well. Character development needs time, something that a two-hour film just doesn’t have. A new superhero character can be introduced, with personality and abilities laid out over the course of a few episodes. Too slow will lose viewers, though, but that’s true whatever the genre. The goal is to present a character who is a superhero. Marvel’s approach to heroes may work well here; the characters have powers, but they aren’t useful in dealing with the more serious problems in their day-to-day life. Peter Parker may have spider-based powers, but they haven’t helped him deal with school, job, or family. The series’ world can be introduced to the audience over time. There’s no need to go into the history of supers in the first ten minutes of the first episode. Details can be filled in, from a TV in the background mentioning a hero in a different city to a character, main or supporting, making a mention. Building that world, though, needs to be done before the series starts. The world of the new superhero needs to make sense to the viewers, especially when asking them to suspend their disbelief on how physics works in the series. How are supers treated? Will the superhero character need a secret ID and how will he or she maintain it? Who are the rest of the cast? Even DC’s solo heroes on television have an extensive supporting cast backing them. For film, the big problem is getting everything packed into a two-hour time span. An origins film could work, but that often means that everything else will get overshadowed as the character becomes a superhero. Smallville spent ten seasons showing how Clark Kent became Superman; movies don’t have that luxury. Audiences will be showing up to see superheroic action, unless the marketing can convey properly what the movie is about. Film also has the potential for a larger budget, allowing for cutting edge special effects, even with the likelihood of an original superhero movie having a lower budget due to risk aversion. It’s probably best to get the actual origins – how the character became a superhero – out of the way early but have the repercussions of them last through the film. If the origins are interesting, as seen in Deadpool, Captain America: The First Avenger, and Iron Man, then make them the focus of the movie. The goal is to tell a story that will keep audiences in their seats. One problem that does occur in comics and is starting to occur with the both Marvel and DC’s cinematic universes is continuity lockout, where readers need to be familiar with the entire output of a company to understand what’s happening. 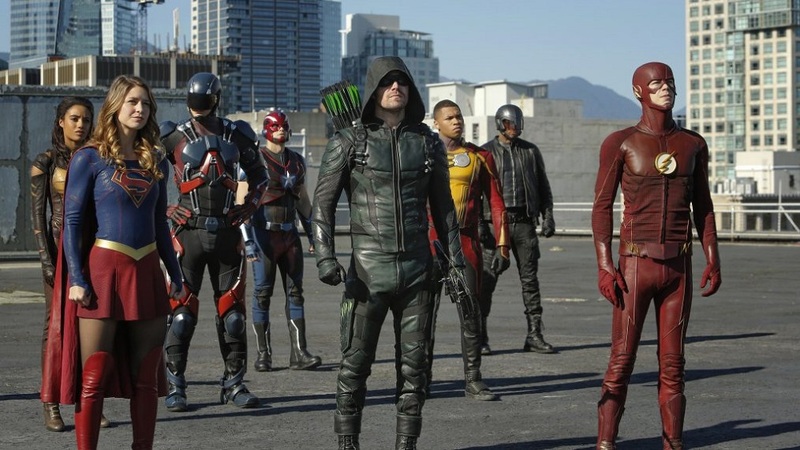 DC’s Arrowverse have had three crossover events where the casts of Arrow, The Flash, Supergirl, and Legends of Tomorrow appear on an episode of each series in an interconnected storyline. If a viewer somehow wasn’t aware of the other series, the new characters would be a mystery, even if the episode gave enough detail to allow the view to get through to the end. Continuity lockout can happen even if there is just one series if the show lasts long enough. Supernatural uses a “Previously On” segment to get viewers up to speed with what’s needed for the upcoming episode, but even there, a new viewer jumping on in season 10 may not be aware of what happened to Sam and Dean’s mother, detailed in season 1. Superheroes aren’t going away any time soon. Adaptations of superhero comics will continue to hit television and movie theatres. There is room for an original superhero work in those media, but it will take effort to make the work successful. Just following on the coattails of the leaders won’t draw an audience. The new work, movie or TV series, needs to stand on its own. It’ll take work, but it is possible.